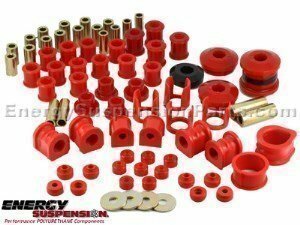 Energy Suspension is an American polyurethane bushings producer. Energy Suspension is one of the largest bushes producer. 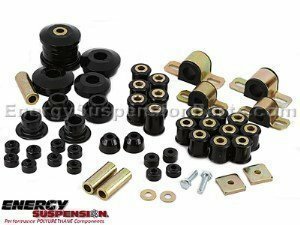 Energy's Nissan 200sx S14 and S15 polyurethane bushing kit includes all bushes except the rear subframe mounts for a complete suspension bush overhaul.